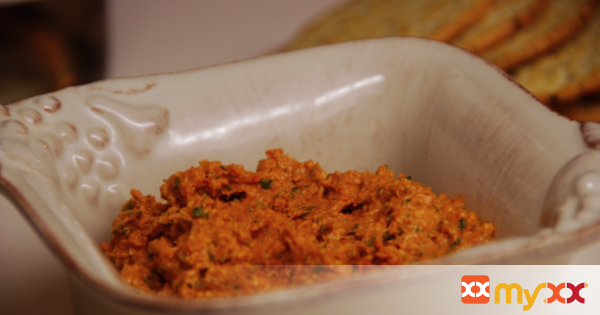 This dip is full of flavor and tastes amazing with a glass of wine. Serve with pita chips, veggies or crackers. 1. Put the sun dried tomatoes, roasted red peppers and garlic in a food processor. Pulse until finely chopped. 2. Add the feta cheese, cream cheese, Worcestershire sauce and Tabasco. Pulse until combined. 3. Add parsley and basil. Pulse again until combined.